New to the city? Do you wish to explore every essence of different destinations in a car? Come to us and take any car from us at very affordable rent. We offer a wide range of vehicles- Compact cars, Convertible cars, Economy cars, Luxury cars, Premium cars, Standard cars, Mini Van and Compact Pick Up vehicles to our customers spread across different nooks and corners of the country. The stylish look of our cars adds up to your personality. 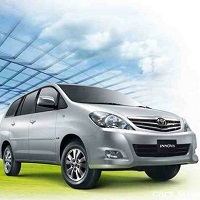 Shreejay tours N Travels is a reliable Car & Coach Rentals Service provider in Maharashtra.